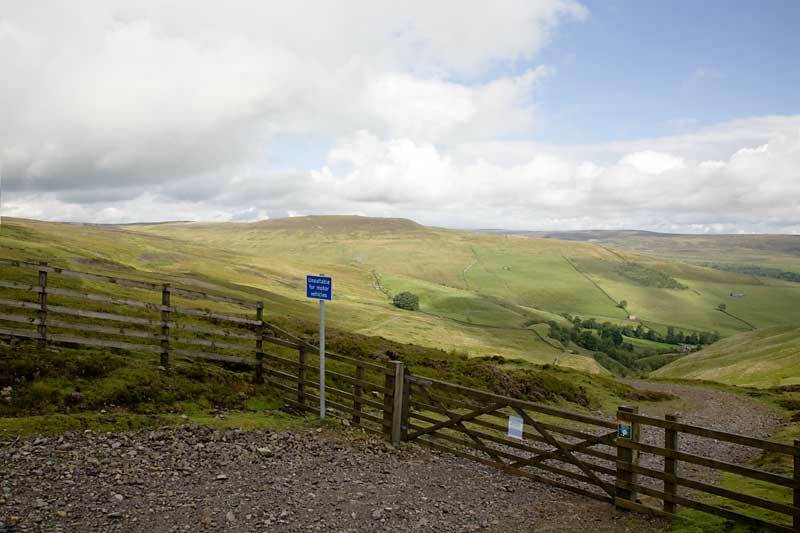 Blea Barf stands at 540m and is situated on Crackpot Moor, it overlooks the infamous track that has led to the demise of so many motorists who have blindly put their faith in their sat-nav devices when attempting the journey from Swaledale to Wensleydale. 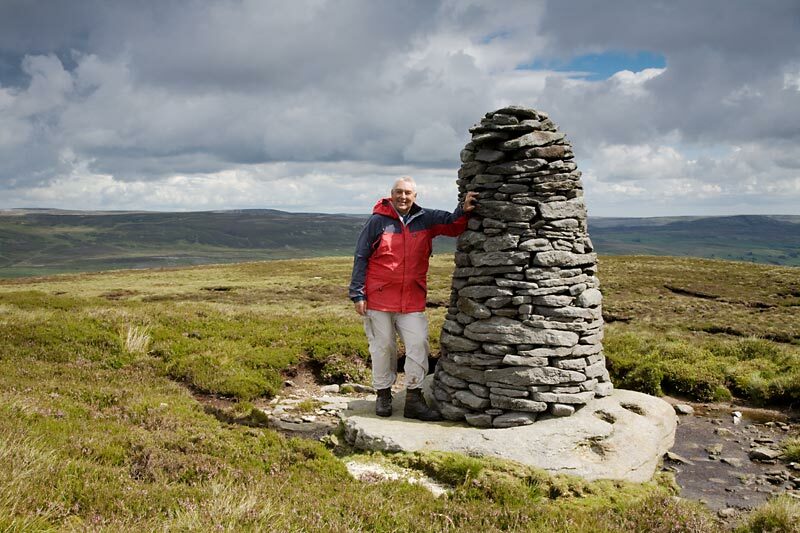 Our walk today starts from the very spot where the track which is barely passable even by 4x4's leads up from Summer Lodge and joins the road from Askrigg to Reeth. 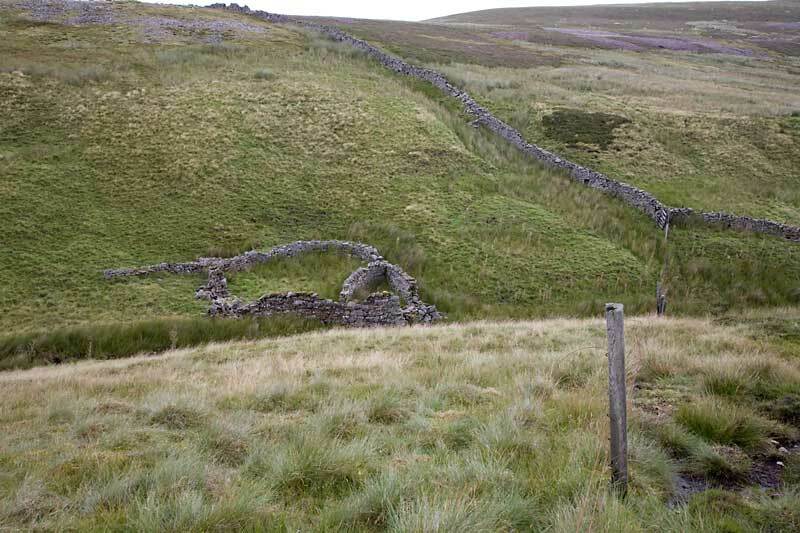 We pass through the gate and turn immediately left heading west along an old miners path which cuts across Summer Lodge Moor, after a short distance this turns into a track taking us through the old mine tips and disused shafts passing Summer Lodge Tarn. Looking to Blea Barf from the track leading to Summer Lodge and the hamlet of Crackpot. 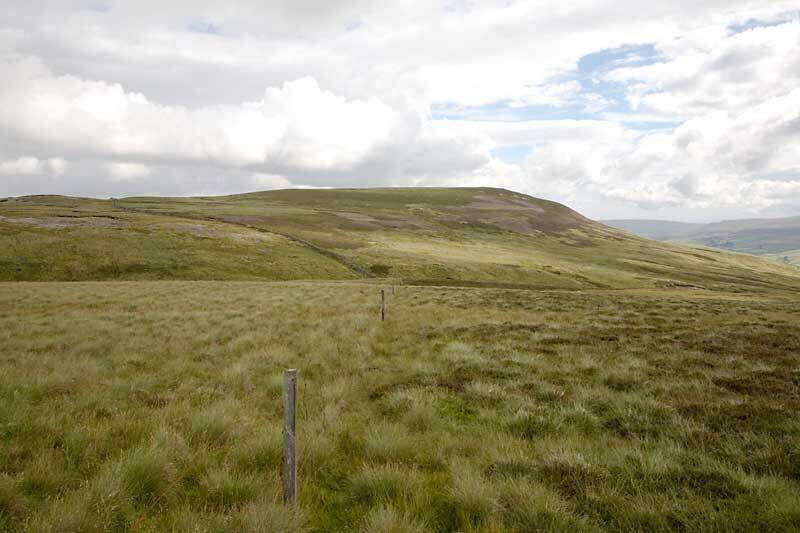 Eventually the track dwindles away and we carry on making our way west over rough moorland to join the fenceline which heads north towards Blea Barf. 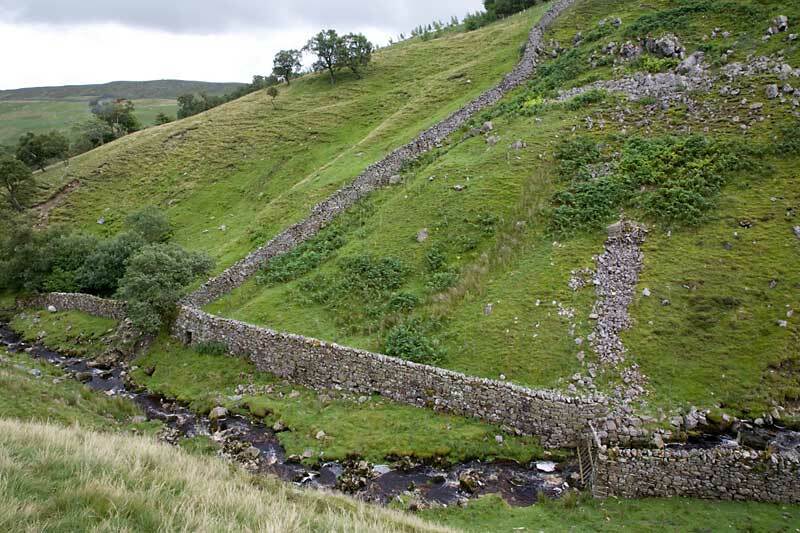 After a short distance we cross the beck at Little Bull Head and climb the wall on the other side. Following the wall up until a suitable point is reached, we then strike out east to gain the summit of Blea Barf. 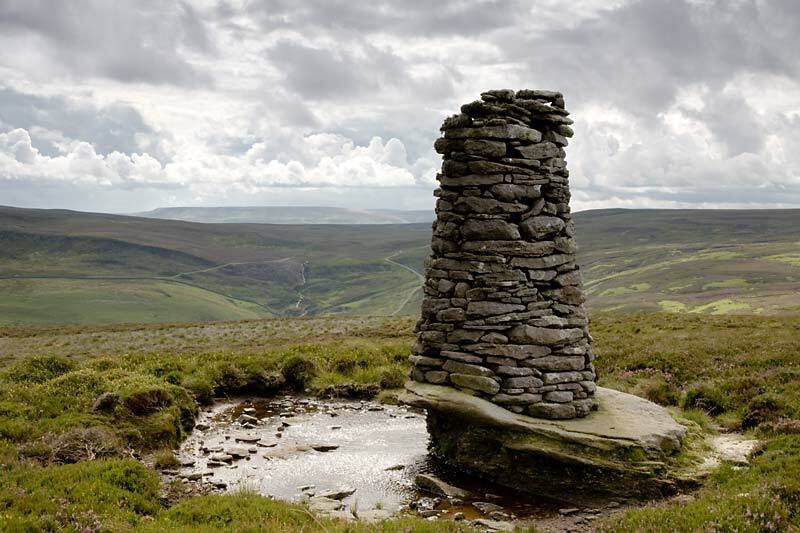 A splendid cairn built on a sloping rock which overhangs slightly - Very impressive! Gerry adds scale to the proceedings. We descend the steep bank, cross the beck at the bottom then carefully climb the wall, there are plenty of through stones in the wall to aid us and it is access land! 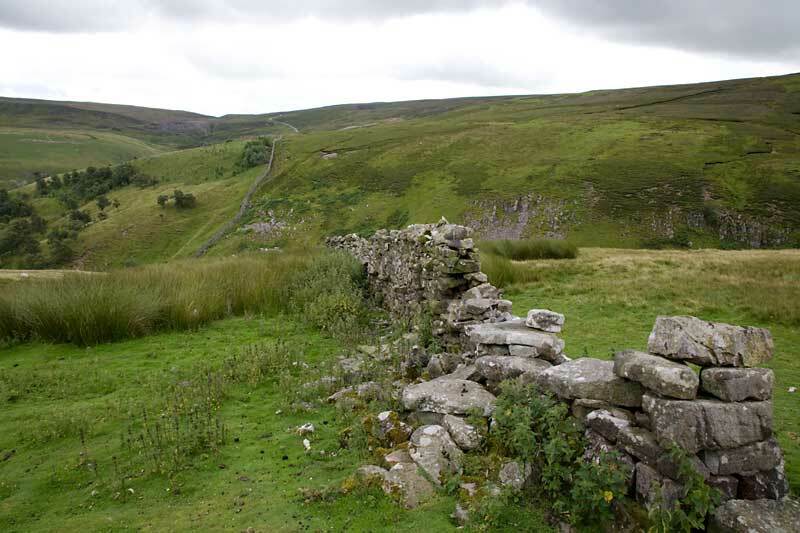 Having said that, we are very careful not to cause any damage to the walls or fences that we encounter in our quest to walk all the Yorkshire Dales tops. Once safely across we climb the steep bank keeping to the right hand side of the ascending wall. 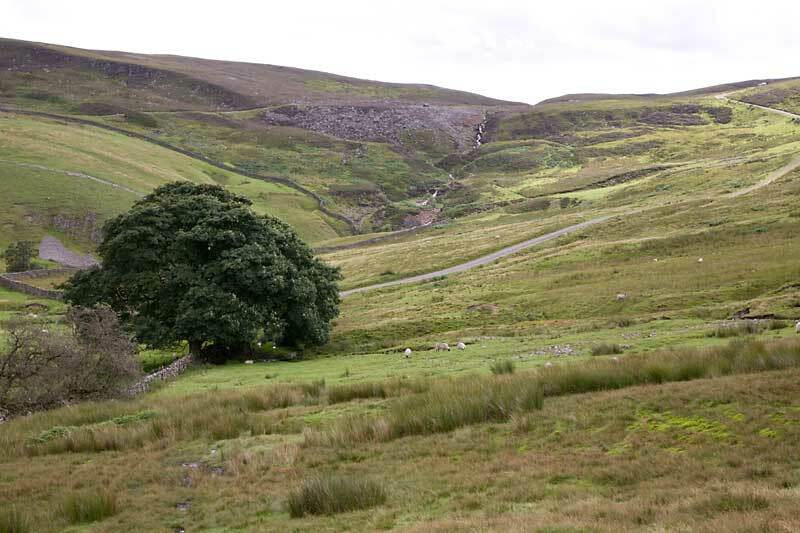 As we climb the steep bank our views down the valley towards Crackpot and Swaledale begin to unfold. 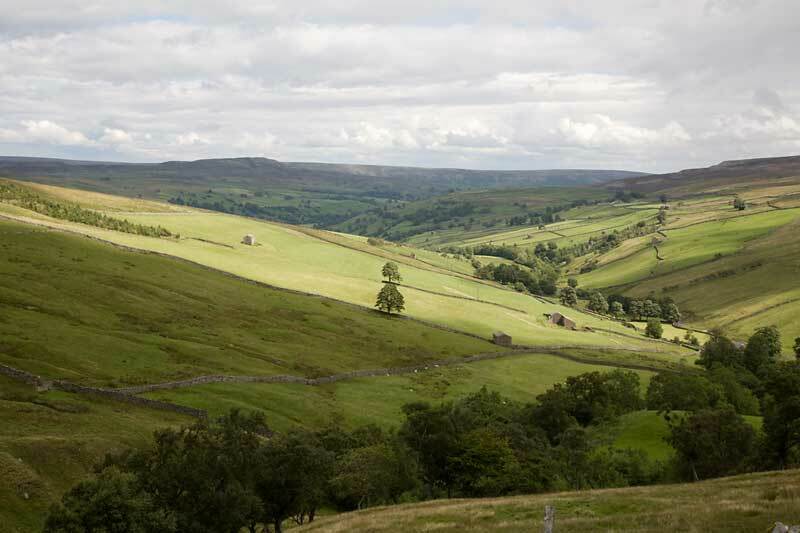 The hill in the far distance is Calver Hill near Reeth, we shall be climbing that one next. 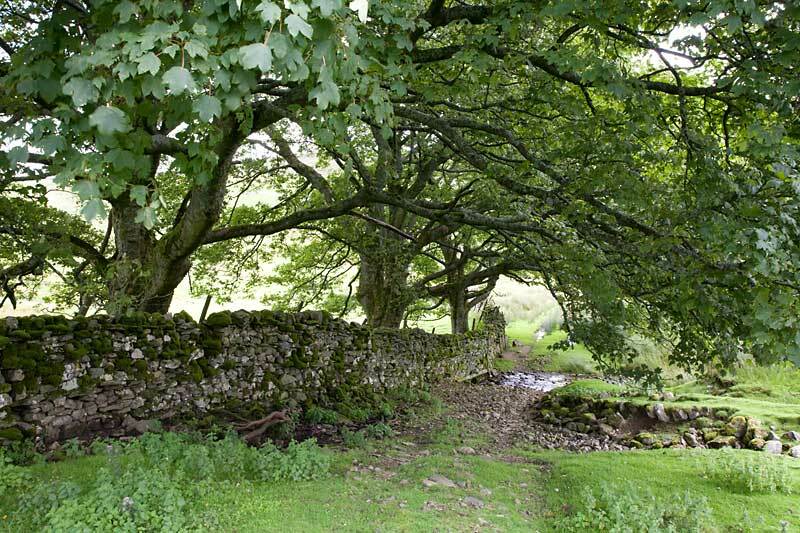 Passing under the canopy of the Sycamore Trees we cross the stream (Hog Gill) and join the track. It is then but a short sharp climb back to our starting point.